Combine the ham, cream cheese, 3/4 cup each of the swiss and cheddar cheeses, and the pinch of cayenne pepper in a glass bowl. Stick the bowl in the microwave for about 45 seconds to soften the cheeses. Mix it all together until smooth. Transfer to a baking dish. Sprinkle with remaining cheese over the top. Bake for 10 minutes at 350 degrees. Switch the oven to broil and cook 2 to 5 more minutes, or until the cheese is browned and bubbly. 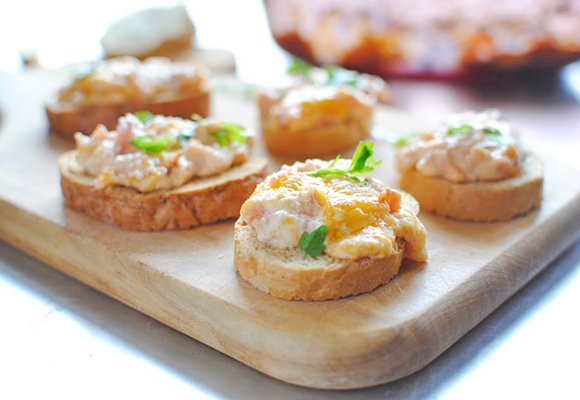 Garnish with parsley and serve with toasts, crackers or bread.